Fast After 50 is for every endurance athlete who wants to stay fast for years to come. You don't have to slow down as much as you think. Generations have been told that aging means slowing down and taking life easier, but this is an unwelcome message for endurance athletes who have dedicated decades to training hard and getting faster. New research on aging athletes shows that cyclists, runners, and triathletes can limit their age-related performance declines if they go about it the right way. 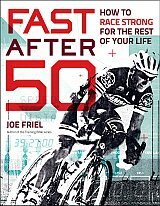 Now America's leading endurance sports coach Joe Friel shows how athletes can race strong past age 50. Drawing from his decades of coaching experience and the most current research on aging and sports performance, Friel offers a smart approach to staying competitive in triathlon, bike racing, and running. By training to ward off the effects of age, cyclists, runners, and triathletes can extend their racing careers for decades - and race to win. 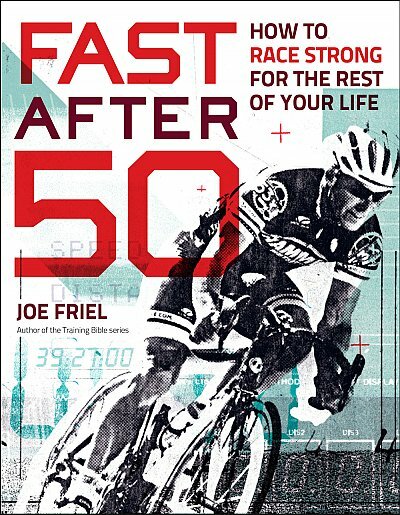 Fast After 50 includes effective workouts, a focused strength training program, and proven guidelines on recovery and nutrition for high performance. Friel shows how the body's response to training changes with age, how to adapt your training plan, how to avoid overtraining, and how to shed body fat and regain muscle density. Joe Friel is the best-selling author of The Triathlete's Training Bible, The Cyclist's Training Bible, Going Long, Your Best Triathlon, and Your First Triathlon. His TrainingBible Coaching franchise is one of the most successful and respected in endurance sports. Joe has trained endurance athletes since 1980, including national champions, world championship contenders, and Olympic athletes in triathlon, duathlon, road cycling, and mountain biking. He is an elite-certified USA Triathlon and USA Cycling Coach and holds a master's degree in exercise science.